The songs have been floating around as bootlegs for a number of years, however this audio is improved, even though it’s still not terrific. It’s really the spirit and playing though that steal the show on the album. 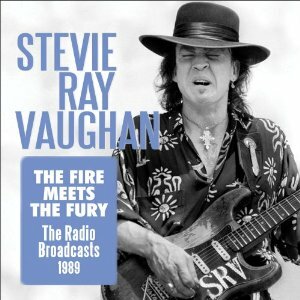 Recorded just a year before Vaughn’s tragic death, the album has an almost prophetic exchange as Stevie thanks God that he’s lucky enough to be there that day in the passionate, almost 13-minute rendition of “Life Without You,” which was written about the loss of his good friend Charley Wirz. The album also has great versions of classics like “Cold Shot” and the upbeat intro “The House Is Rockin,” so it’s a no-brainer for any Stevie Ray or blues guitar fans.